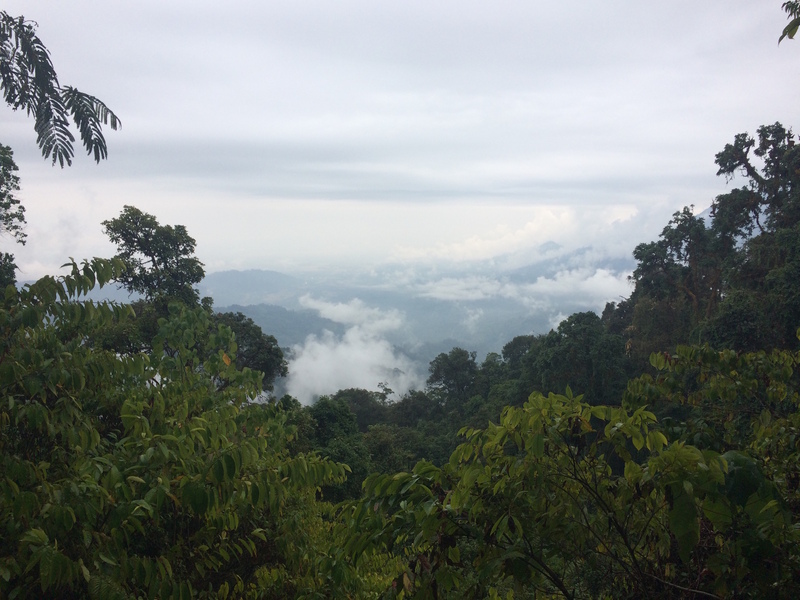 Earlier this year, our staff embarked on an adventure unlike any we’ve experienced before: we trekked into the remote mountains of northernmost Myanmar, to a region that few people have the opportunity to visit. 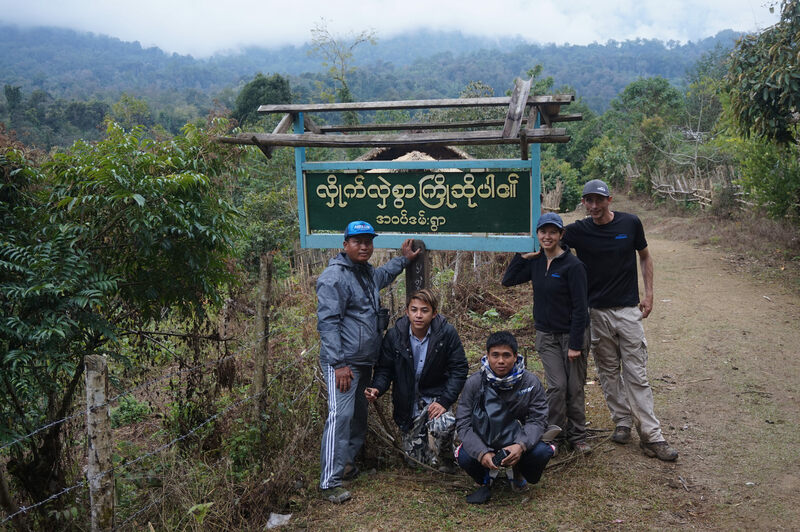 The journey was part of our second year of collaboration with Fauna and Flora International (FFI), and follows the trip we made to Indawgyi Lake in Kachin State last year to help FFI establish Fish Conservation Zones with communities around the lake. 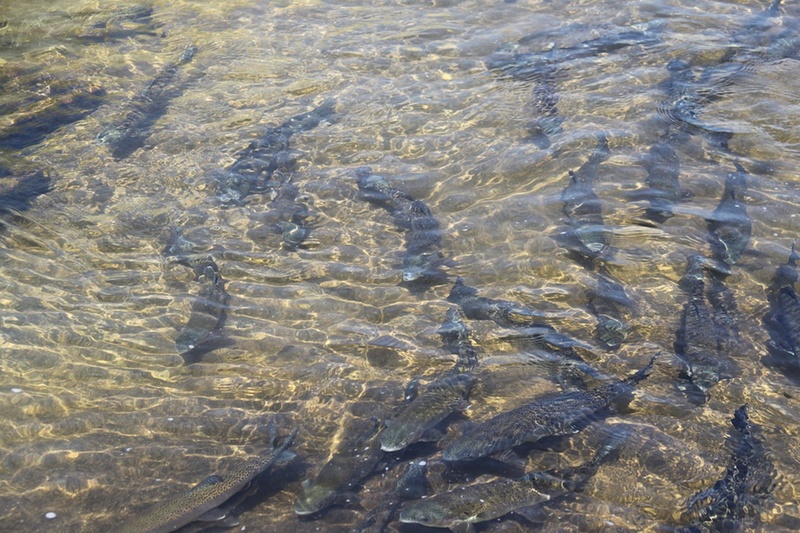 This year, FFI expanded their efforts to establish fish conservation zones to the upper watershed of the Mali Hka (Mali River). This river joins with the NMai Hka to form the Ayeyarwaddy, the major river of Myanmar. FFI had previously conducted electrofishing surveys in the small mountain streams that feed the Mali Hka, and had discovered a number of species that were new records for the area, or that were new to science. FFI wanted wanted to continue these electrofishing surveys, so FISHBIO sent over two team members, one to advise the fish conservation zone process, and another to assist with electrofishing surveys. One of the villages that we planned to visit, called Ziyardam, has been called “the last frontier” of Myanmar. The village is the last human habitation sitting at the base of the Himalayan Mountains, close to the border with India. 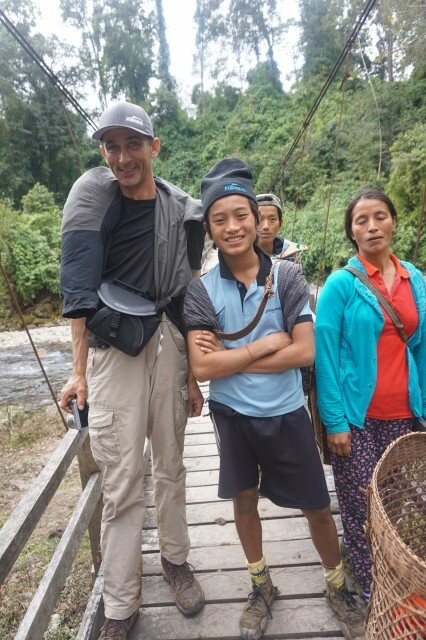 The mountainous jungle trails leading to Ziyardam and neighboring villages are not passable by vehicles ­– so that meant 20 miles of hiking over two days just to reach the site. Much to our relief, we discovered that a team of local people would be packing our gear for us, carrying everything from our backpacks to the heavy batteries needed for the electrofishing unit. They loaded our gear into traditional baskets supported by a head strap and a wooden neck yolk. Their help turned out to be a lifesaver, because just getting ourselves across the mountainous terrain in a timely manner was enough of a challenge for our crew! While our knees ached from the steep downhill stretches, the locals were surefooted and quick, even with heavy loads on their backs. We marveled that a few even wore flip-flops! Our journey over the mountains was cool and rainy (which we much preferred to a hot and muggy). Our packing team would quickly travel ahead of us, then we would often catch up to them as they huddled around a small fire, warming up during a break. One of our crew handed his FISHBIO beanie to the youngest of the packers who looked particularly cold – we were happy to see him sporting it in style the following day too! We passed many local people on the trail making the journey from the mountain villages to the main city of Putao, which we had flown into. Rounding a bend might bring us face-to-face with a pair of women expertly balancing giant loads on their heads, or an 80-year-old man on his way to a church camp with a heavy pack on his back. He passed us easily, moving quickly with strong, sure strides. We occasionally came across people driving teams of small stocky mules straining under bulging loads. The animals’ flanks were drenched with sweat, and their hooves occasionally slipped on the slick, muddy trail. Human or animal power is the primary method for bringing supplies into these remote villages, although we did see a pair of men working to improve a section of road to make it passable by motorbike. Transporting loads is also one of the few sources of income available for local people, whether packing gear for hikers planning to scale the ice-covered mountains, or carrying supplies for teams of scientists or social workers visiting the area. While we often felt pangs of guilt watching our packs disappear over the mountain on someone else’s back, we contented ourselves with the knowledge that we were supporting the local economy! We estimate that our team hiked nearly 60 miles in total over the course of eight days – 20 miles over two days each way getting in and out of the area, and about five miles a day during our actual fieldwork as we traveled to electrofishing sites and neighboring villages. Far from the reach of cell phones or internet, we used a GPS unit to check in with colleagues back home and share our positions along the way. In true FISHBIO fashion, we also had cameras running throughout much of our trip to document the experience. We are currently putting together a film about this special journey, which you can watch a preview of here. We look forward to releasing the film later this year!